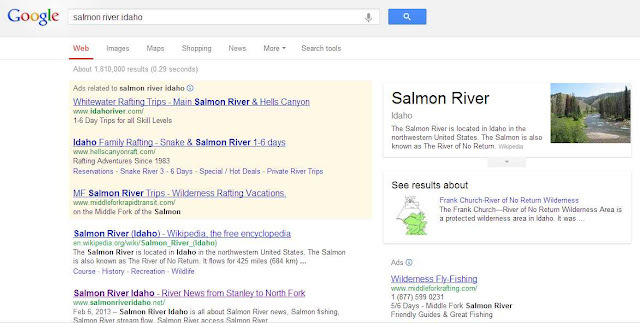 What a great gift on the 20th Anniversary of our Big Verde Flood--we finally made it to the Number Two spot on Google's search results using the words "salmon river idaho." It wasn't easy and it certainly wasn't luck, either. 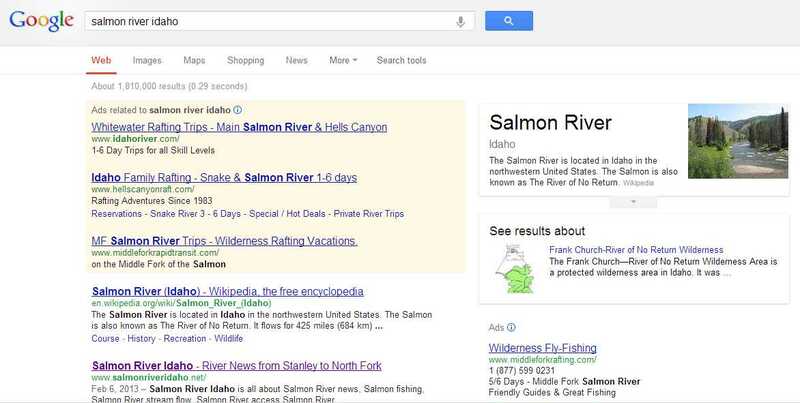 We actually opened a Google Ad Words account and have been paying money to advertise the website. That's the name of the game these days and that's how the game is played. Luckily (at least so far) is hasn't cost an arm and a leg. We don't think we have a prayer of edging out the Salmon River Wiki. We're totally satisfied with Number 2. The Wiki for any given resource will always be the Number One top search result, as well it should be.